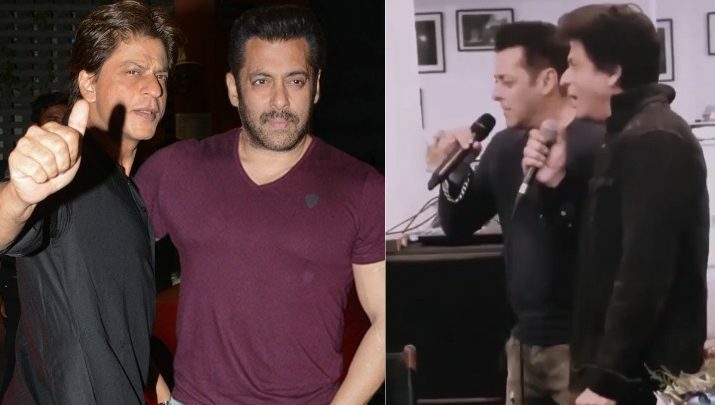 New Year’s Eve got even more awesome, all thanks to the best video of 2018 by none other than Salman Khan and Shah Rukh Khan. It so happened that both the superstars graced the Christmas party hosted by Katrina Kaif. The party will go down in history not because of the big event but because of the viral video featuring Salman and King Khan. In this viral video, King Khan and Bollywood’s Bhai can be seen singing together. Yes, you read it absolutely, right! 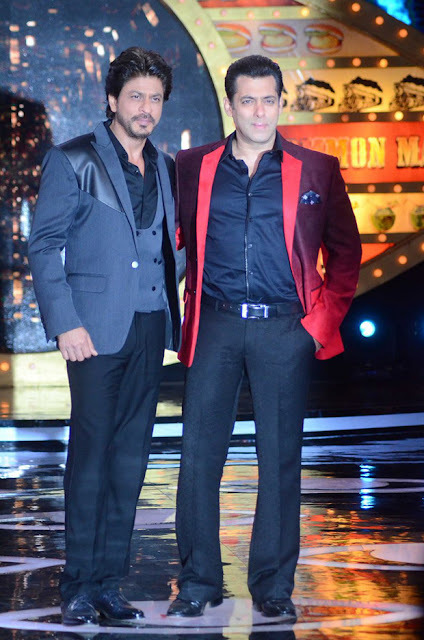 Salman and SRK were seen holding mics and singing iconic Pyaar Humein Kis Mod Pe Le Aaya from Satte Pe Satta. Incidentally, both of them also wore similar dresses. They look too cute in matching the black outfit. You can watch the video down below. It is extra special, as it was Katrina Kaif’s birthday party ten years ago that saw both the Khans falling out. After not talking with each other for quite long, they were first seen hugging each other at Baba Siddiqui’s Iftaar party five years ago. Since then, they have been seen on multiple occasions. Salman Khan had a cameo appearance in Zero featuring SRK. Last time, Salman and SRK danced their hearts out at Sonam Kapoor and Anand Ahuja’s wedding reception. They also recreated Karan Arjun moment on the stage.